Noida-based stem cell startup Advancells reported that it has successfully achieved growth by 120 percent from the last year in the field of stem cell therapies, and aims to expand across over 100 hospitals with a similar amount of doctors in the next two years. The startup, which provides natural cure for many ailments with safe and effective treatments, was established in 2013 by Vipul Jain, a serial entrepreneur. Since its inception, Advancells’ team has witnessed three-fold growth. 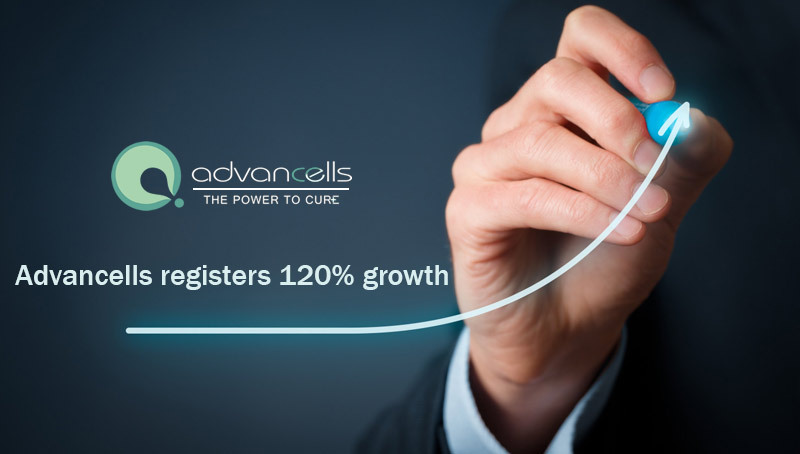 “The idea behind establishing Advancells was to provide customized protocol for 360 degree management of diseases and conditions with regenerative medicine as a solution. We have also associated with “Champions of Change – Transforming India through G2B partnership” initiative of the Modi governement,” said Vipul. “In 2018, we plan to continue addressing the significant increase in lifestyle changes and growth patterns, and the need to provide a more personalised approach to use our cell line for various diseases such as diabetes and spinal cord injury. This will offer deep rooted and differentiated solutions to the science,” he added. The company currently conducts about 15-20 treatments in a month. They offer services ranging from providing cutting-edge stem cell therapies for patients with life threatening diseases to lifestyle diseases with anti-aging technology. The company claims to have treated more than 2000 patients in the past four years and work with more than 50 doctors and hospitals in more than 10 cities across the country. “We expect to double the number of hospitals and doctors in our network in the next two years and thus increasing our patient base multiple folds,” said Vipul.